Singapore, 10 November 2016 – Leading power companies came together today to launch the Singapore chapter of the World Energy Council – a United Nations-accredited energy body with members across the global energy stakeholder community. The chapter seeks to provide a platform on disruptive changes in the energy scene, and to address the energy trilemma of creating a secure, accessible and sustainable energy future. The chapter’s founding members are Singapore Power, Senoko Energy, YTL PowerSeraya, Tuas Power, PacificLight Power and Singapore District Cooling (SDC). SP is the chairing organisation. This is the first time that Singapore companies across the energy supply chain – from generation, transmission and distribution, to district cooling and heating – are forming an industry association. 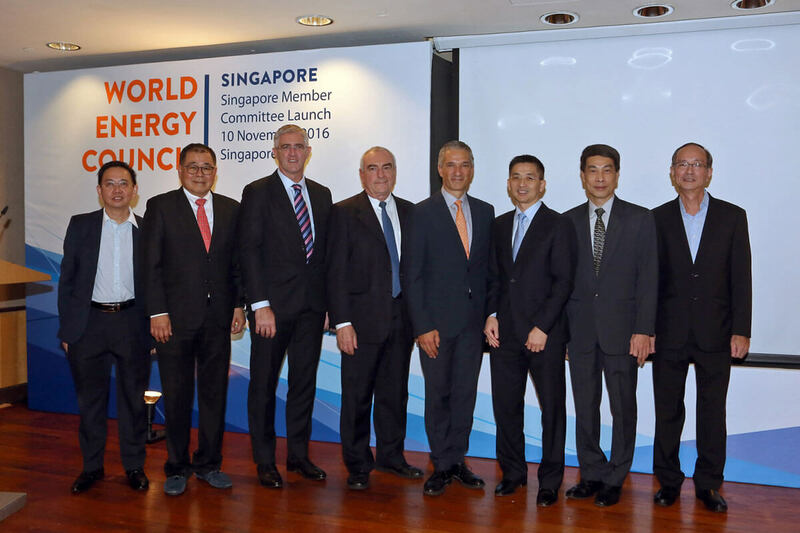 The formation of the Singapore Chapter of the World Energy Council is timely, given the rapid transformation of the global energy industry due to the fast-paced development of new technologies, environmental challenges and changing consumer needs. World Energy Council Singapore creates a platform for the local industry to help chart the course of Singapore’s energy landscape. The Singapore chapter will tap on World Energy Council’s network of more than 3,000 member organisations in 90 countries, for global insights and best practices on energy policy, innovation and sustainability strategies. Members comprise governments, private and state corporations, academia, NGOs and energy-related stakeholders. The Council promotes an affordable, stable and environmentally sensitive energy system for the world through global, regional and national energy strategies. With Singapore setting ambitious goals to reduce energy emissions intensity and stabilise greenhouse gas emissions at the COP21 accord in Paris, the local chapter and its constituent organisations will play an important role in complementing public-sector efforts.